FORA’s pursuit for excellence never stops. 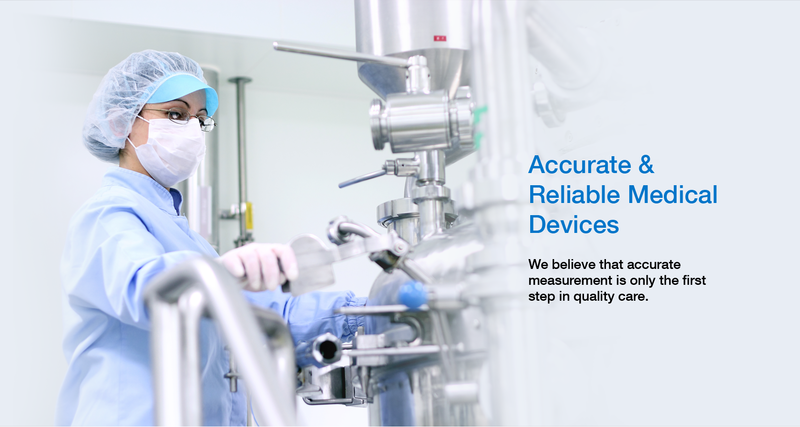 We are dedicated to the development of unique technology and currently hold worldwide patents for IR thermometer, blood glucose meter, test strip, cardiovascular care products, and other medical related applications. 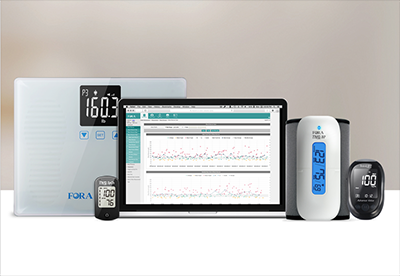 As ForaCare continues to strive for excellence in clinical competency, our blood glucose monitoring systems continue to meet the emerging needs of higher accuracy in blood glucose measurement and meet the new FDA criteria of ±15%. 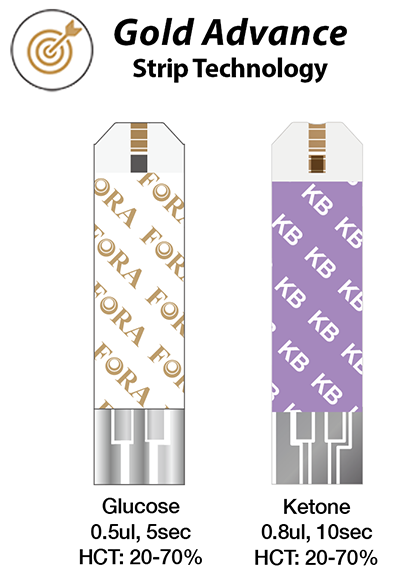 Our advanced and innovative Gold Strip Technology, assures that blood glucose and ketone readings are accurate and reliable. 100% of glucose levels within ±20% of lab reference values. 98.7% of glucose levels within ±15% of lab reference values. 1. Food and Drug Administration. 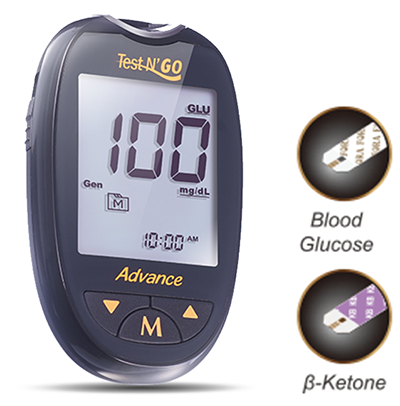 Blood Glucose Monitoring Test Systems for Prescription Point-of-Care Use Guidance for Industry and Food and Drug Administration Staff. Document issued on: October 11, 2016. 2. Food and Drug Administration. Self-Monitoring Blood Glucose Test Systems for Over-the-Counter Use Guidance for Industry and Food and Drug Administration Staff. Document issued on October 11, 2016. 3. System Accuracy Evaluation of FORA GoldAdvance Plus Blood Glucose Monitoring System versus YSI 2300 STAT Plus™ glucose analyzer following “Blood Glucose Monitoring Test Systems for Prescription Point-of-Care Use Guidance for Industry and Food and Drug Administration Staff” * The results demonstrated that 95% of results fell within ±8.6% of the laboratory reference values when tested via subject–obtained venous or capillary blood. 4. System Accuracy Evaluation of FORA TD4122 Blood Glucose Monitoring System versus YSI 2300 STAT Plus™ glucose analyzer following “Blood Glucose Monitoring Test Systems for Over-the-Counter Use Guidance for Industry and Food and Drug Administration Staff”.